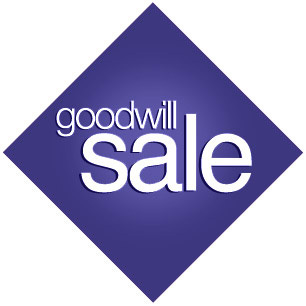 Be a part of the Goodwill Sale running from September 12-29! For each item you donate in one of our stores, you’ll earn a 25% off coupon (increased from the previous 20% offer). The coupon is good on regular & sale-priced merchandise. Save on nearly EVERYTHING in the store, including your favorite designer brands that never go on sale! Goodwill is proud to partner with Rock the Green - the Midwest's near-zero waste music festival! We want to give you another chance to save on Rock the Green General Admission tickets, so we've extended our promotion code! 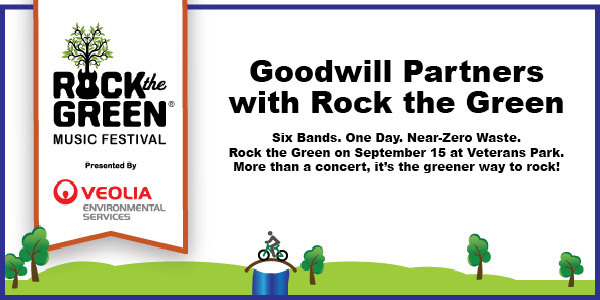 Now through September 14, 2012 enter Goodwill's exclusive promotion code: AMAZING at RocktheGreen.com to get $5 off a General Admission ticket!